PEOPLE SHOULD SELL off their jewellery – including engagement rings – if they want to avail of the Government’s new debt relief legislation, Alan Shatter has said. 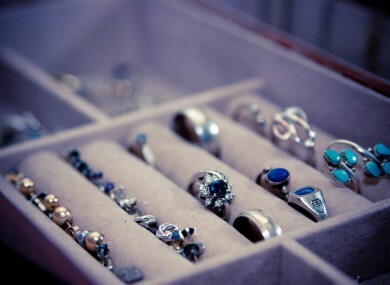 The Minister for Justice rejected suggestions that personal items of jewellery should be exempted from the means-testing process for struggling debtors, saying it would be open to abuse. Under the Personal Insolvency Bill published last week, debtors cannot own assets worth a total of more than €400 if they want to avail of relief. There are exemptions for essential household appliances, any work equipment, and a car or van worth up to €1,200. But Shatter said personal jewellery would not be exempted, even if it had sentimental value. I am mindful of the sentimental, as much as actual, value of items such as engagement rings, etc. However, given the potential for misuse of such a possible exemption, I would need to hear very convincing arguments as to why a person applying for a full debt write-off of up to €20,000 [...] should be allowed to retain expensive items of jewellery which might be sold to repay some of the debt. Shatter was addressing the Dáil as he introduced the Personal Insolvency Bill, which introduces three new processes for debt resolution. He said the Government expects a huge increase in bankruptcy applications when the new legislation comes into force – up to 3,000 or more in the first year, compared to the 30 seen in 2011. Services will also be braced for around 15,000 applications for debt settlement and 3-4,000 applications for relief, Shatter said. The Minister added that he expects the new service to begin operation around January 2013. Email “Debtors should sell their personal jewellery to get relief, says Shatter”. Feedback on “Debtors should sell their personal jewellery to get relief, says Shatter”.